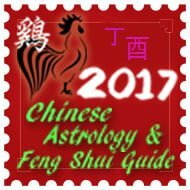 From 7th December 2016 to 4th January 2017 is the eleventh month of the Bing Shen year (Yang Fire Monkey year) with the ruling energy of #1 in the central grid. Use metal cures to weaken the #2 and six Chinese coins in a row tied with red ribbon along with a Wu Lou. Try not to use colours red, pink or purple as these are fire colours and strengthen the #2 in the centre in December. Good colours here are white, silver gold or copper. It is also good to have a picture/painting of mountain scenery but make sure there is no water in the picture. Use a salt water cure here if it is an important room like a bedroom or lounge, kitchen etc for the month. This combination can affect the stomach, digestive, general sickness and problems with thought process. It also affects the Matriarch (eldest female) and overall very inauspicious and needs either cures or avoidance. 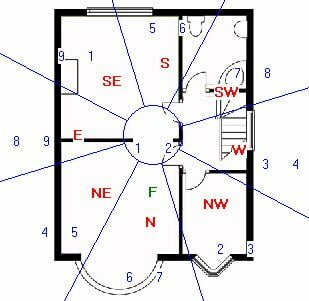 If your bedroom is located here and you have higher ground outside, this is good although you should still follow the advice. If your front door, bedroom, office, lounge or other well-used room is located here this may inevitably activate its malicious effects, so make sure you follow all the advice. You must place a Wu Lou and six Chinese coins tied with red ribbon, metal singing bowl and also place more round metal decorative objects (provided they are not menacing looking, round shape metal is good) to dissipate its negative influence in this part of your home or room. Avoid triangular or sharp shapes in this area this month. Ladies expecting should try to sleep with the crown of your head in your personal Tien Yi direction. Males who spend a lot of time in this area should be careful of what they eat, a good time to think about a lifestyle change. Place a brass Wu-Lou beside your bed. The brass Wu-Lou (also known as a calabash) gives elemental support to this area and also symbolises good health and dissipates the negative energy of the #2 star. More importantly, do not decorate this area with red fire colours or triangle shapes items and most important avoid burning candles or leaving bright fiery coloured lights on for too long. 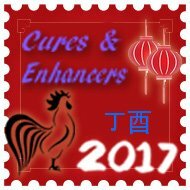 The most important cures to place in this area are a set of six Chinese coins tied with red ribbon. Place a Ba Gua mirror in this area outside if you have any poison arrows directed at this area. This combination is referred to as the ‘Bullfight Sha’. This combination causes disputes, arguments, gossips and lawsuits related to financial issues; this combination can also cause marital problems so care is needed in December to keep this area peaceful. You should try to avoid using this sector if it is possible. If this is a sector that you cannot avoid, you should place a brass table lamp with a red shade or red bulb. This is not a good combination for any room that you use frequently as this combination is hard to control even when you have introduced the cures. If this combination is present in a bedroom, try and keep the room as quiet as possible. Another option is also introducing fire element related colours like red, pink or purple combined with metal element related colours like white, silver, gold or copper. The easiest way to introduce different elemental colours is by introducing bed covers, rugs, curtains etc. A traditional cure for the Bullfight Sha is to place a Buddha combined with a candle, if the colours are mixed with metal and fire it is an even better cure. The most effective cure is placing a metal essential oil burner and burning a tee light candle each day with great care. This cure is effective and worth trying but it may work against you if you do get the balance right. I would recommend you obtain a metal essential oil burner and burn a tee light candle here each day as long as it is safe to do so. If you cannot obtain a metal burner use a ceramic one and place a brass wu lou beside it or any good quality metal that is round in shape. When you add fire, although it does weaken the #3 wood star, you are also in danger of enhancing the #2 black earth star, which can bring sickness to the occupants. The metal is placed to weaken the #2 black earth star, however it will counter the energy of the #3 wood star and aggravate the evil nature of the #3 that is why an oil burner is good as it provides equal amounts of the cures needed. This combination is commonly known as the ‘Sword Fighting Sha’ and can cause many problems related to arguments, fighting or fraud. The area affected by this combination can also be prone to robbery. You need to make sure that you take extra security measures, especially if this is in the west or northwest sectors. You should use blue or black colours to weaken the negative aspects of this area. You should also place some still (yin) water in a vase (with flowers if preferred) to weaken the effects of this combination. The water must not be moving water as this is considered yang and will cause many problems. If this combination falls into an area that is a bedroom, you should place a salt water cure. Ideally this area should be avoided, especially for a couple as it can cause many arguments and also disputes with business partners. The best colours to use when attempting to weaken this combination would be blue, grey, charcoal or black. Having good Feng Shui is also about being aware of potential problems so if you have a door or window here make sure it is secure as preventative measures are just as important as placing cures. You should also take into account that if you live in an area where crime is high the suggested security should be much higher. You do need to worry if this is a bathroom or utility or other less important room as the chances of negative influence are less. Use metal cures to weaken the #5 along with a Wu Lou and six Chinese coins in a row tied with red ribbon. You should use a salt water cure here if it is an important room like a bedroom or lounge, kitchen etc. Place a Ba Gua mirror in this area outside if you have any poison arrows outside directed at this area. If this combination falls in an area that is surrounded by a mountain or tall buildings/trees, it can cause many arguments, emotional and embezzlement problems. This area should ideally be supported by open lower area. You must avoid the use of moving water (yang). You should place some indoor bamboo growing in still clean water or fresh cut flowers, the water must be kept squeaky clean at all times during December. Whilst this star is very auspicious without cures this #4 star can bring both wanted and unwanted romantic opportunities to the household if the cures are not put in place. Having a door in this area with the cures (yin water) can bring in new opportunities and lots of travel and a perfect cure for a company that deals with travel or printing. As in every star, the 4 Green has a positive and negative aspect to its nature. Although a favourable star, it can also be affected by the presence of an unfavourable monthly star and when it does, it denotes betrayal, heartbreaks, scandals and humiliation in affairs of the heart. Keep this area as busy as possible by keeping the windows and doors open as much as security and climate will allow you to do so; you should also try to listen to music and watch television in the area that this combination falls into. If this combination falls into your bedroom though, do not activate bedroom with moving water. If you have windows or a door here you should try and leave it open as much as possible to allow the positive qi to enter and permeate the rest of the building. The area that this combination falls into is great for amassing wealth and is also good for romance. If you have a 3-legged Toad this is the ideal place for you to place him. You should try and store all your important financial papers here like stocks and shares, pensions and savings etc. Keep this area as busy as possible with windows and doors open as much as security and climate will allow you to do so. You should also try to activate this area by playing music and watching television. Good colours to use here are earth colours, yellow, brown or beige. This is an excellent place to have Amethyst crystal or other quartz crystal. You should try and store all your important financial papers here like stocks and shares, pensions and savings etc. When this combination is activated, men may find obstacles in their career or business. When you are affected by this combination, use six coins tied with red ribbon and/or a Wu Lou. You should not use the colours red, pink, purple or orange and should try to avoid using candles or lighting a fire. You should use a salt water cure here if it is an important room like a bedroom or lounge, kitchen etc. Good colours to use are metal element related colours like white, silver, gold or copper; you can also use water colours blue or black to dissipate the energy of the #5 star. You can place a six hollow metal rod wind chime but only inside as we do not want the noise to activate this area. Try not to let children play in this area either inside or out as this will cause many problems. 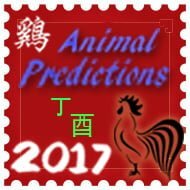 Place a set of six auspicious i-ching Chinese coins tied with red ribbon; this is so important if you have a middle son sleeping or spending a lot of time in this area. I would also place a salt water cure in this area as it will dissipate a lot of the energy here. This combination promotes academic, career and wealth success. This is a good area for an office or other active room. Be warned of misguided romantic encounters or problems with the eyes if affected by a negative annual star like the #5 or 2 or bad land formation outside like pylons etc. If this combination falls into an area that is a bedroom, place a wu Lou beside your bed or round shape metal object. If you have any poison arrows like lamppost, pylons or large comers of house’s pointing toward this area consider hanging a flat ba gua mirror outside pointing towards the offending object. 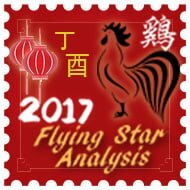 Generally though there is nothing to worry about with the annual #1 star as it is it is timely and an auspicious star. This area can also be very good for relationships and to enhance you should introduce some metal elements that are round in shape, a traditional enhancer and cure is a brass wu Lou or any object that is round in shape and made from a good quality metal like brass copper, steel. Avoid having large quartz crystals (over 4 inches in size) in this area.